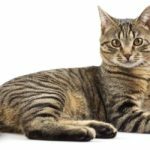 If you are searching online for the best Savannah cat bed, you have probably already noticed not all cat beds are made for this particularly long, tall and substantial cat breed! The Savannah cat breed is known to have very particular care requirements. In other words, these cats know what they like! This includes sleeping preferences, which makes your choice of beds for Savannah cats an important part of helping your new kitty feel completely comfy and at home. 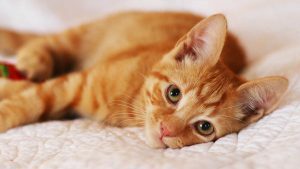 In this article, we introduce you to some of the best Savannah cat bed options to consider as you welcome your new Savannah cat into your family! Savannah cats on average can be considerably taller and longer than your average housecat. Of course, hybrid generation (F1, F2, F3 and so forth) will influence your cat’s height, length and weight, but the average Savannah will still stand head and shoulders above most domestic kitties. This means you will want to give your Savannah extra room to stretch out and relax when it is time for bed, even if your kitty prefers to curl up into a ball for sleep. Of course, Savannah cats are known for preferring to sleep with their owners, and if this is the case, you may just want to have a suitable Savannah cat bed on hand in case your Savannah cat changes her mind! Savannah cats can also be slow to mature, taking up to three years to reach their full adult height, length and weight. To avoid having to buy another Savannah cat bed as your cat grows up, you may want to factor her estimated adult size into your considerations. The typical F1 Savannah cat will stand up to 19 inches tall (paw to shoulder). You can expect a full adult length of up to 25 inches. A full adult male Savannah F1 cat can weigh up to 25 pounds. An F2 adult Savannah cat will stand up to 18 inches (paw to shoulder) and will measure up go 24 inches long. An adult F2 Savannah male can weigh up to 24 pounds. Females tend to be quite a bit lighter, weighing up to 16 pounds. An F3 Savannah will typically stand up to 17 inches tall (paw to shoulder) and can reach 20 inches long. Weight-wise, an F3 male can weigh up to 19 pounds and a female may weigh up to 13 pounds. An F4 or later (F5, F6, et al) full-grown Savannah cat will look markedly different than the F1, F2 or F3 hybrid cats, with a body composition, shape, height and length much more like the typical domestic cat. Height-wise, these cats may still stand up to 17 inches tall (paw to shoulder). 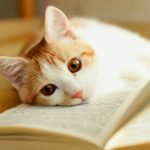 If you have previous experience caring for felines, you have probably witnessed how different cats can have very different sleeping styles! 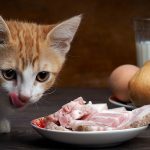 Just like you have your preferences for how you like to fall asleep, your cat will have his preferences as well. Some cats love to stretch out and sleep while other cats will curl into a little ball to go to sleep. 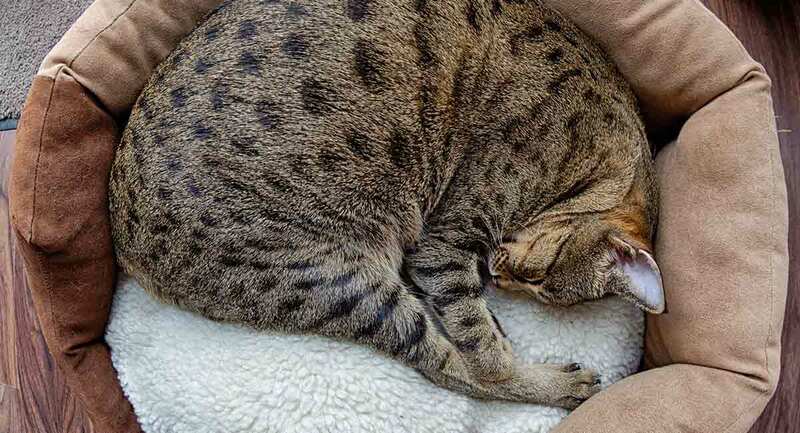 You will want to choose a Savannah cat bed that will help your kitty feel welcome to curl up or stretch out as he may prefer! These round Savannah cat bed options are perfect for the kitty who likes to curl up to sleep! Each bed offers different features, from heated or self-heated to cave-style to a higher lip for burrowing comfort. This large heated cat bed features a cave-like half-hood. You can unzip the hood and remove it to create a simple round cat bed. The MET-listed heater uses just four watts and can be removed for washing or as needed. Choose from two colors/patterns and two sizes. This lovely jumbo-sized round cat bed uses your cat’s own body heat to provide extra warmth. The slightly raised side walls provide more of a cave-like feel without being restrictive. Choose from several styles and colors. This super-soft and plush round cat bed comes in four colors/patterns and can be easily washed in the clothes washer on cold/gentle. This bed features a raised outer lip so your cat can burrow for comfort. Even the smallest Savannah cat will still be larger than most domestic house cats. If your Savannah likes to stretch out long to sleep, one of these longer rectangular cat beds might be the perfect sleep-time solution! This flat, rectangular plush cat bed comes in a variety of sizes to suit different cats. It also comes in five colors and patterns to match your décor. The material is soft synthetic fur and plush polyester, which means this bed can be easily machine washed and dried in the dryer. This rectangular large pet bed features a zip-off hood and a removable pillow in a plush, eco-friendly casing. You can choose from three different colors/patterns. This soft and comfortable self warming pet bed comes in round and rectangular shapes, several sizes and three color combinations. The bottom is non-skid and the Sherpa interior is machine-washable for easy cleaning. Some Savannah cats really love to burrow and feel completely enclosed while they sleep. If this describes your Savannah, you will want to take a closer look at these plush and luxurious Savannah cat bed cave options! This squishy, snuggly, pet cave-cross-sleeping bag comes in a generous 25 inch diameter, or a whopping 30 inch diameter – perfect for even the longest F1 Savannah, or two cats who like to share. It comes in two color ways, and the cover can be removed for machine washing. This hand-felted eco-friendly wool cat cave is made in a way that is completely free from chemicals of any kind. The wool comes from New Zealand and the cat cave is crafted in Nepal. You can choose from a wide range of colors and patterns to suit your décor. The round entrance gives this bed a cave-like feel that many cats find extremely comforting and secure. Wool is a natural anti-microbial fabric, which means it will resist odor, stains and debris, making cleaning it easy. To hear Savannah cat breeders tell it, Savannah cats are wild about cat hammocks! Your Savannah may just find her perfect cat bed in one of these wonderful hammocks. This suspended rectangular cat hammock is made for larger cats and features a heavy-duty mesh seat where your Savannah can lounge, rest, nap and watch the world go by outside. The hammock can hold up to 60lb of weight, and the fabric cover is removable and washable. This suspended hammock seat with a generous 28-inch diameter cushion is designed for human children, which means it should just about be good enough for your feline children too! It comes in three colors, and provides a fun place to relax for Savannah cats who need a little bit of extra stimulation, even when they’re chilling out! A cat bed cube is really like a two-fer – your Savannah cat gets a raised daytime lookout station for resting, napping and observing and then a fully enclosed cave-like sleeping area for night. This cat bed/cube/condo offers two sleeping options. The top of the cube is covered with plush synthetic sheepskin for a lounging and napping area. The interior of the cube is a similarly lined cave-like sleeping area that has some strategic cut-outs to add ventilation. This easy-clean square cat bed offers two sleeping/resting areas – a top lookout and an interior cave-bed. You can also connect it to a cat tunnel (sold separately). 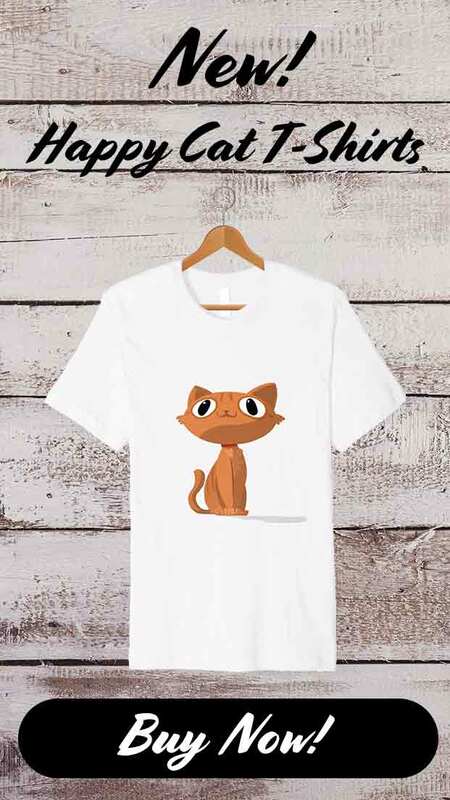 The material is durable and washable. Choose from 3 colors. This round cat condo cube offers an upper platform and an inner cave-like cat bed. The frame is solid wood and the covering is plush human-grade carpet. We hope you have found the perfect Savannah cat bed for your sweet kitty amongst these special slumbering options! When you’re choosing your Savannah cat’s first bed, bear in mind the length they are likely to grow to. 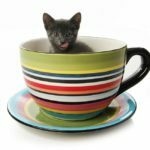 If you’re not sure what kind of bed to begin with, why not ask your breeder where your kitten likes to sleep at the moment, and choose something similar? Where does your Savannah cat like to sleep? Does your Savannah cat have a particular spot they like to kip in? Have you ever found them napping somewhere unexpected? Saulny, S., “What’s Up, Pussycat? Whoa!,” The New York Times, 2005. Smith-Lemire, L., et al, “Savannah Care,” Savannah Cat Association, 2018.